For those of you who remember, MTV had a show dedicated to the Jersey Shore life. It was basically a show about young Italians who go to the Jersey Shore to party every summer. There was, of course, a lot of drinking, fist pumping, and hooking up. 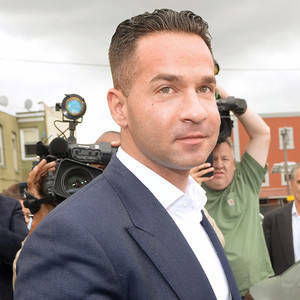 One of the main characters of this show was Michael “The Situation” Sorrentino. He’s known for referring to himself in the third person as “The Situation” and using that name to describe his different antics. Right now he has a more serious … situation. Mr. “Situation” and his brother are charged with some very serious crimes. He’s charged with tax evasion, including the allegation of making multiple cash deposits to evade reporting requirements. It’s alleged that he made cash deposits of less than $10,000 to attempt to avoid any government scrutiny. Authorities said that the brothers set up two companies, MPS Entertainment, LLC and Situation Nation Inc. as conduits to cash in on Mr. Sorrentino’s new found fame. The problem began when the brothers mixed the use of the company’s business funds with their personal accounts. Prosecutors state that The Situation didn’t pay federal income tax on the $8.9 million he earned from 2010 to 2012 and did not file a tax return for 2011. They also allege that he filed a false return for the Situation Nation, and falsified business records subpoenaed by the federal grand jury that investigated the brothers. His lawyer has stated he’s not guilty. Of course, that what a good criminal tax attorney must do. And as we do, so will Sorrentino’s tax defense lawyer build a case on the facts that are unprovable and the acts that were unintentional. Like this case, and even for the non “high-profile” criminal tax cases that we see at Tax Law Offices, there is always some misunderstanding of fact. The Assistant U.S. Attorneys with Department of Justice and the Special Agents in the IRS Criminal Investigation Division realize this too. But unlike defense lawyers, it’s not their job to be understanding. If you are under an IRS criminal investigation, please reach out to us immediately! We look forward to helping you. By Shavonne Taylor, a Law Case Analyst and frequent blogger at Tax Law Offices.